The Mission of the Foothills was established in 1983 and has been at its current location in Montrose, California for 25 years. We believe in a personal approach and work with each individual to determine the exact steps that will help them overcome difficulties and accomplish their goals. The mission is known for its warm and friendly atmosphere, where people often pop in just for a nice break or conversation. We invite you to visit us anytime! "It is not possible to 'spoil' a child with love and affection... a child needs all the love and affection it can possibly get." With Dianetics and Scientology breakthroughs that show you what affects a baby’s future from conception through birth and infancy, so you can start your child off on the right foot. 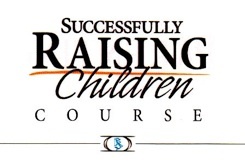 On this course, both mother and father gain knowledge and tools that increase a baby’s well-being to the highest point. The length of this course is 3 days part-time. Here are principles with which you can help your child build a stable, productive life. When you use them, you can assist your child to become a self-determined, happy and contributing family member--and an asset to society. The transition from childhood to adulthood can be a rocky task for parents, but here are the principles that show you how. By knowing and using the tools in this course, you can help your tweens and teens achieve happiness and success for a lifetime. 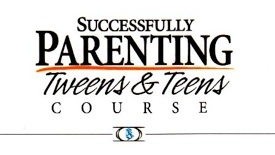 "This course has simplified a very complex aspect of living: parenting. It is one of the most useful pieces of information I have ever read on parenting and childhood development - simple, concise, correct and accurate." B.B. "I learned so much that I never knew before about babies, pregnancy and newborns. The information is so vitally important I'm really glad I've done the course before having my first child. I would take forever to list out everything I learned. Things you wouldn't learn anywhere else but in Scientology." J.B.